(CARICOM Secretariat, Turkeyen, Greater Georgetown, Guyana) Energy sector stakeholders from across the Caribbean last Thursday converged on Miami, Florida, for a special forum that sought to identify specific user needs and functions for the Caribbean Energy Knowledge Hub (CEKH).TheCEKH is a new initiative of the Caribbean Community (CARICOM) Secretariat, that seeks to facilitate the implementation of the CARICOM Sustainable Energy Roadmap and Strategy (C-SERMS). 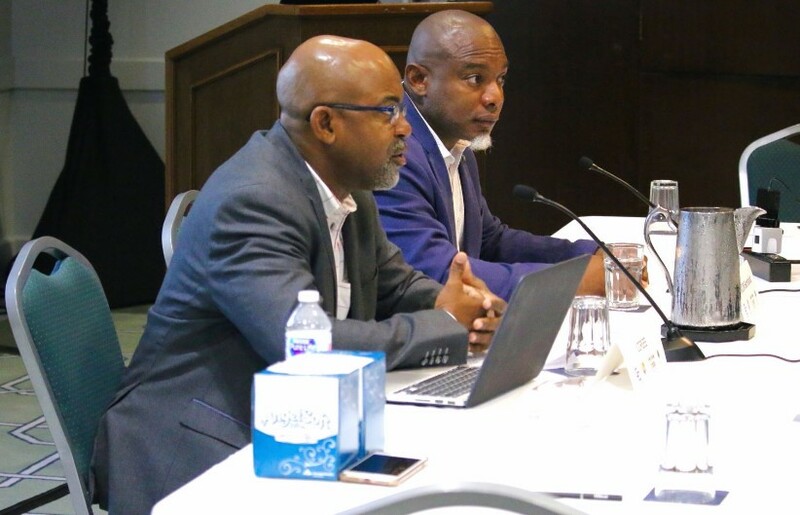 It is a journey that started in earnest back in February 2003 at the Fourteenth Inter-Sessional Meeting of Heads of Government of CARICOM, where it was agreed that a Regional Energy Policy Task Force be established to offer recommendations to address a number of persistent and then emerging challenges within the Region’s energy sector. The CARICOM Heads of Government decision in July 2003 to expand the Terms of Reference of the Regional Energy Policy Task Force to include recommendations on Natural Gas, Renewable Energy, Energy Sector Investment, and the Rationalization of the Regional Energy Sector, marked the coming-of-age of an agenda that was previously kept in check by a high-level preoccupation with petroleum and petroleum product pricing. He further outlined that the uniqueness of the Region’s development experience, is such that there are more options for pursuing a sustainable energy pathway than in many other regions – primarily due to the relatively small size of the markets, and because of the large potential that Caribbean countries have in respect to different types of resources. The CARICOM Energy Lead is, however, of the view that this is as much a challenge, as it is an opportunity for the Region. As the Knowledge Hub draws closer to implementation, greater focus will be placed on the conceptual clarity of sustainable energy indicators, and the methodologies and standards required for regular reporting by Member States. The good fortune of pursuing this agenda within the renewable energy space at this particular juncture, is that tremendous progress has already been made in mainstreaming affordable and clean energy within the 2030 Agenda for Sustainable Development.